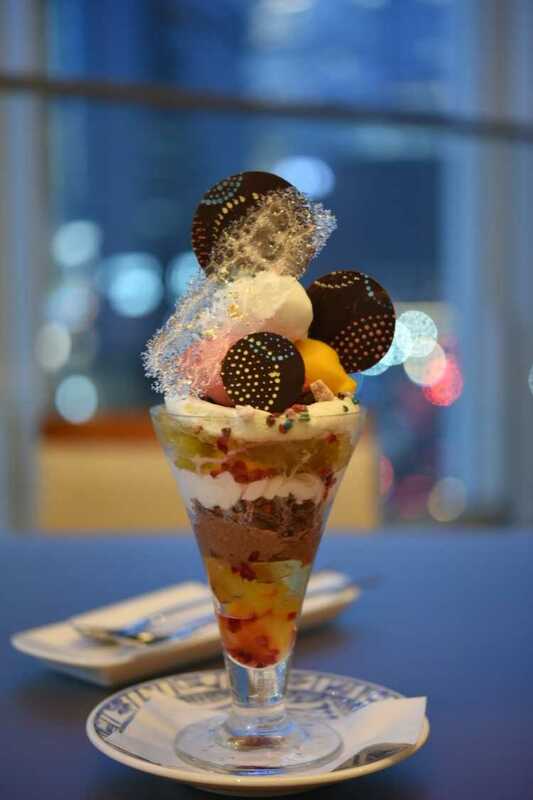 It's a parfait sold during the limited term. The appearance is so lovely and also the taste is so good. 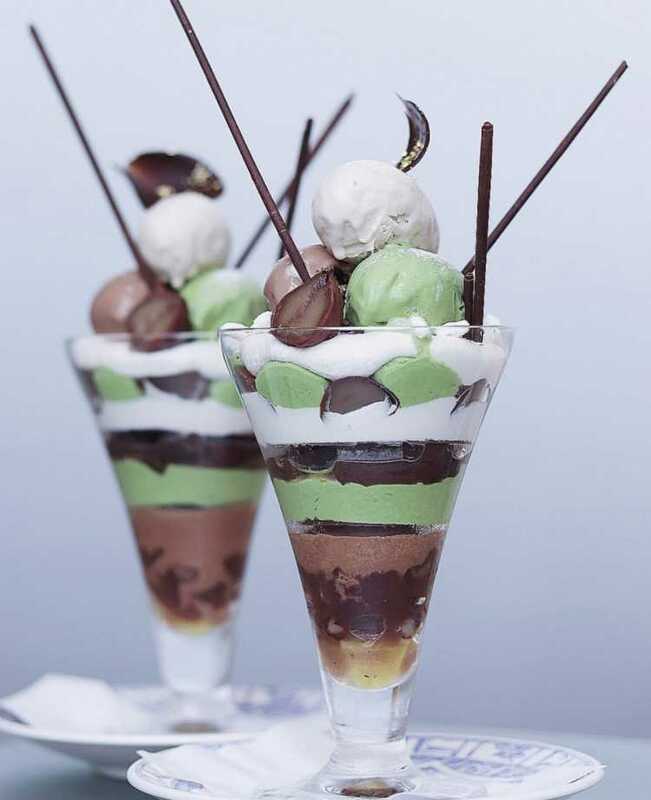 Pistachio, almond, and strawberry ice cream are topped, and the inside is separated by bitter chocolate! CHOCOLATIER PALET D'OR is often seen in SNS. Their parfait is photogenic and has high quality. 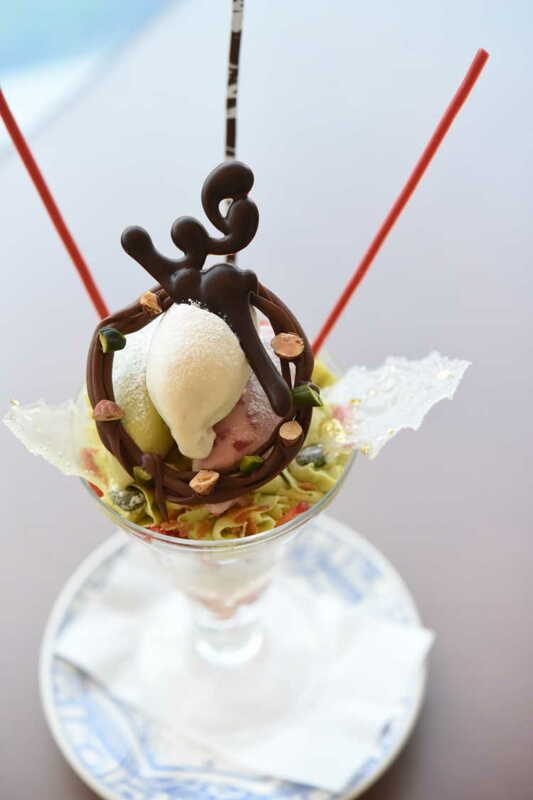 You can enjoy eating seasonal parfait. It's voluminous so much and as satisfying as one meal. Each of the three layers has different character. It's ideal parfait as a reward for myself! I want all sweets-loving people to eat. 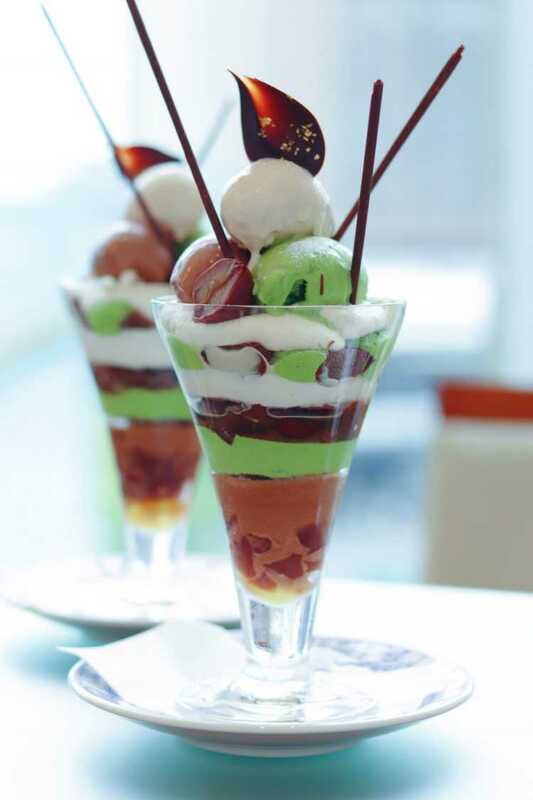 For the separate three tiers by chocolate plates in the glass, you can enjoy three tastes in one parfait!